Well done if you managed to identify yesterday’s flower – it was the tuberose or Polianthes tuberosa (not to be confused with polyanthus!). This delightful flower grows on a rather nondescript plant and is commonly available in catalogues and garden centres in spring but I don’t think many people bother with it. And, unfortunately, because it has rather precise requirements and is not as easy to grow as a dahlia or gladioli, with which it shares space on the shelves, I have a nasty feeling that most ‘bulbs’ that are sold die rather than flourish. So, although it is in bloom now and I want to say how lovely it is, maybe some tips on growing may be in order first. Polianthes is a genus of a dozen or so species that are now placed in the agave family. They all have loose rosettes of strappy foliage and then produce a central stem with six-tepalled, tubular flowers. What is slightly odd is that the flowers are produced in pairs along the upper part of the stems, the pair opening together. When the flowers have died the stem dies and that plant dies but by then offsets have been produced at the base. Most of the species have red or brown flowers and although they may have merit in the garden in the Americas where they undoubtedly attract humming birds, they are just curious rather than beautiful. So in a frost-free climate these other species, and the subject of this post, can be planted as perennials and they soon form clumps that flower prolifically without much effort. But they are largely from Mexico and they like heat and sun and good drainage so the ‘tuberose’ is not a plant for the open garden in the UK and Ireland. They have been cultivated in the UK for a long time, since about 1600 possibly, since it was also grown as an ornamental in the Americas for its fragrant flowers. The most common is the double variety usually called ‘The Pearl’ and it used to be said that the single form was not known, but I have grown bulbs that had single flowers. Though sold as bulbs, the ‘things’ you get are dried off clumps of leaves, usually trimmed so they look a bit like an inverted cone, with a few dead roots. Sometimes a large bulb will have some small offsets around the base but these will not be big enough to flower in the first year. To get these started you will need to keep them in a warm place and you must avoid overwatering at all costs. You must not just put these in the garden. There are various ways to get them started but this is what I do. I fill 8cm pots (or smaller) about two thirds full of compost – that is usually a 50/50% mix of multipurpose and perlite so it is very free draining – and place the bulb on this. I add more compost so the lower half of the bulb is covered, water lightly and pop these in a propagator at about 20c. In fact I usually buy quite a few because I find that not all grow and I pop them into cell trays to save room. For about a month not much happens (I usually pot them in February) but, with a bit of luck a little green tuft appears in the centre of some soon after. By April, some of them will be doing well and these I pot together – 3 or 5 – in a larger pot. The plants are very straggly and one in a pot looks a bit lost and is bound to fall over! 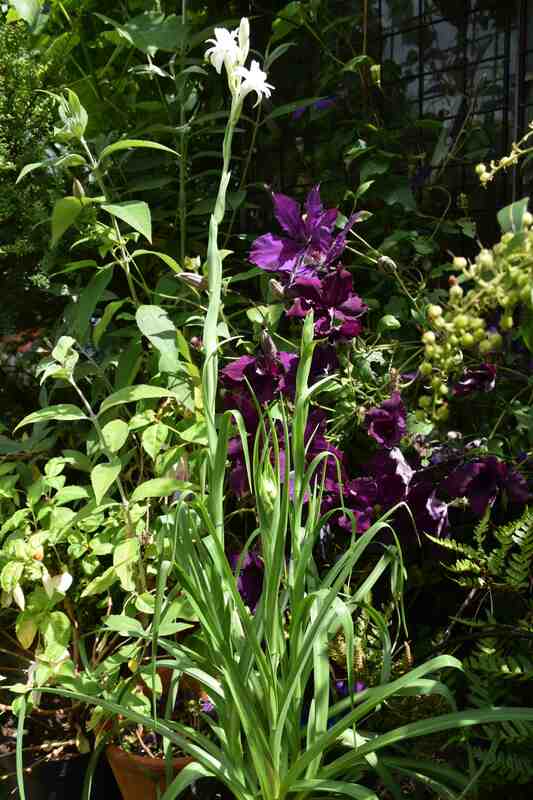 As the stragglers start to grow I pot them up later – time of sprouting usually defines when the flower. Once growing strongly they can be given plenty of water and your regular feeding. They want good light and, after May, they can be put outside in a sunny spot, bearing in mind that these plants need heat. So, after all this, what do you get? Well, with luck, you get one spike per plant (up to 90cm high) with at least a dozen flowers. These are about 3cm across and pure white and waxy, opening from pink-tinged buds. Each lasts about four days and as they age they turn cream, in just the same way as gardenias. And there is another similarity because these small flowers pack a powerful perfume. While you have to stick your nose in the flowers during the day to smell them, as soon as dusk falls they pump out a really strong perfume. I accept that it may not be to everyone’s taste because it is heavy, rich and rather cloying, but I love it. 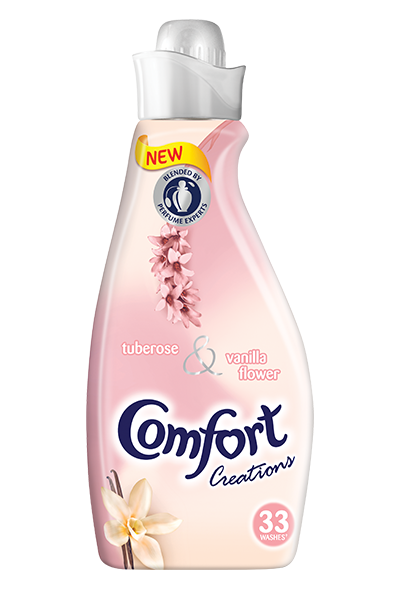 It is often said to be the most strongly perfumed of all flowers. I think you can often tell the rough origin of a plant by its scent because hardy, temperate plants and annuals usually have a light perfume while tropical plants tend to be more cloying, rich and heavy. You do not need many plants to scent a home or a patio – one will do! But it is worth growing lots so you have a succession of flower spikes. Once the plant has flowered you may as well throw it away really but, in theory, you can keep them. Cut off the flower spike and keep feeding and watering the plants. In autumn you can dry them off and keep the pots in a frost free place to keep the bulbs dry – 5-8c and bone dry. In theory, the offsets should be of flowering size by the next year but in a cold summer and short growing season they rarely get big enough to flower. If you live somewhere warm and sunny you should be lucky enough to have lots of these. 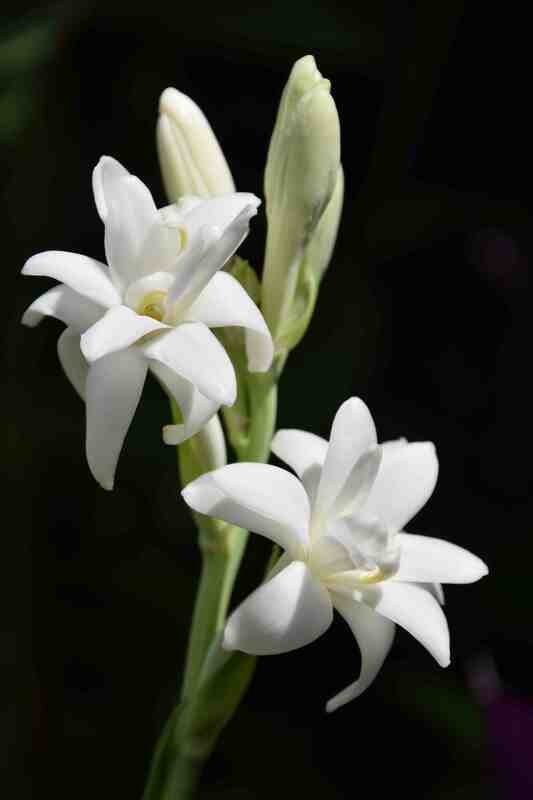 Tuberose is popular around the world and in most Asian countries the name refers to its night fragrance. There is a superstition that the scent of tuberose is not suitable for young women at night because it makes them lose their inhibitions. 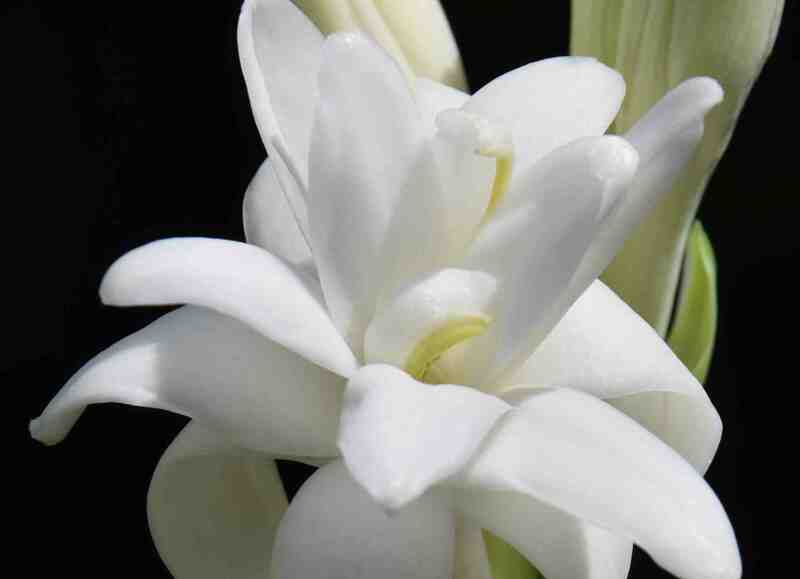 It is hardly surprising that tuberose has a long history of being used in perfume though it is not as popular today when most people prefer lighter perfumes. 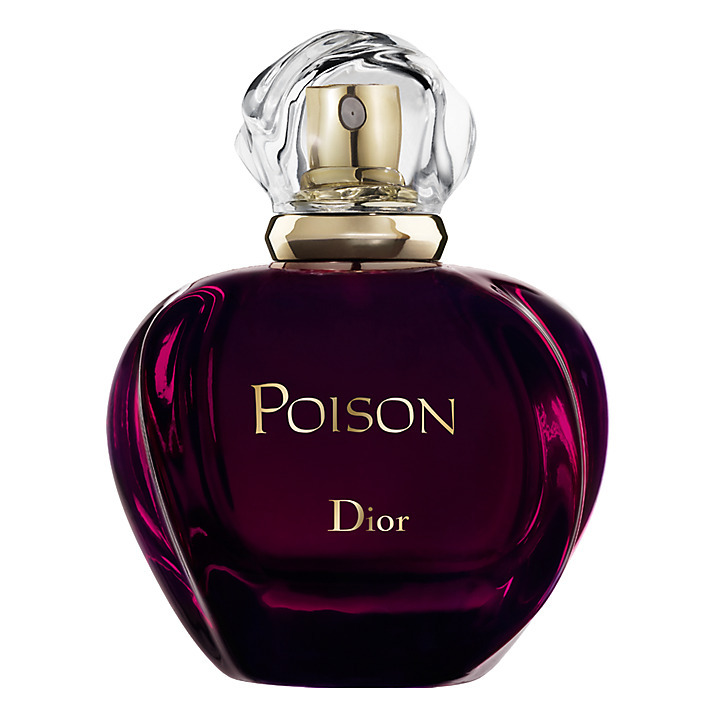 But it is still being used (or a synthetic analogue) and it is one of the ingredients in ‘Poison’. * I should say that although tuberoses have, until recently, been only white, some new hybrids have been bred with pink and yellow flowers – such as ‘Yellow Baby’ and ‘Pink Sapphire’ – very exciting!